Last month, Adkins Arboretum participated in a Maryland Green Schools Legislative Reception hosted by the Maryland Association of Environmental and Outdoor Educators (MAEOE). The event was attended by representatives of Green Centers, Green Schools, and MAEOE's Advisory Council and Board of Directors. Held at the House of Delegates in Annapolis, the Legislative Reception provided an opportunity for Green Centers and Green Schools to connect and share their stories of success with more than 30 state legislators. The Arboretum became a MAEOE Green Center in 2017 after completing a rigorous application process. As a Green Center, we are recognized for our efforts in implementing environmental education, best management practices, and community engagement. Green Centers offer support to schools in the process of being awarded Maryland Green Schools status. The nationally recognized Maryland Green Schools Award Program allows schools and their communities to evaluate their efforts in environmental sustainability and empowers youth to become environmental stewards. Coincidentally, the Arboretum was positioned next to Grasonville Elementary School at the Maryland Green Schools Legislative Reception. Each year, Grasonville's fifth graders participate in the Arboretum's Tree and Watershed Investigation (TWIG) program, which is part of the Queen Anne's County Public School "Forestry for the Bay" unit. Partnerships like this one showcase the amazing potential of the Green Schools/Green Centers program to connect students, teachers, families, and environmental centers in their pursuit of a greener future. 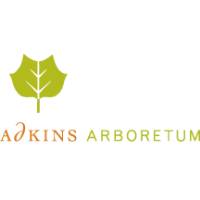 Click here to learn more about the Arboretum's environmental education programs for school groups.